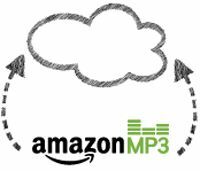 Amazon launches its own cloud music service | What Hi-Fi? Amazon has launched its own cloud music service, Amazon Cloud Player, allowing purchasers of music to store files remotely for access on up to ten devices. 5GB of storage comes free, with the service matching users' own imported music with cloud-stored copies at 256kbps quality, and it's possible to opt for up to 1TB of storage to expand music collections. 1TB should be sufficient to store 250,000 tracks, but will cost £320 a year. Music the system can't match will be uploaded to the sure's cloud store for instant access, subject to capacity - the basic free service allows 250 tracks to be uploaded. To launch the service Amazon is offering users the chance to download one of a range of 'essential' albums for just 99p using a code. Content stored is then available via web browsers on home PCs and Macs, or via dedicated apps for iOS or Android devices, including the forthcoming Kindle Fire and Kindle Fire HD (below), due for launch on October 25.